From the main city of Quimper (50 kilometers), follow the roadsigns to Pont l'abbé; Saint Guénolé and Penmarc'h (main road: D785). While approaching, look for Plomeur city. (Not PloEmeur ! This is 150 km away !). At Plomeur center, follow roadsigns to La Torche point (or ask anyone, everybody knows where it is !). Once you get on the parking lot (a bar and a breton restaurant -called "crêperie"; where you eat local pancakes- on your left), walk on the right (North) side of the point : here it is. On the left (South) side of the point, another spot, called Pors Carn. Get there when it's (rarely) too big at La Torche, or big + too crowded. English (Translate this text in English): From the main city of Quimper (50 kilometers), follow the roadsigns to Pont l'abbé; Saint Guénolé and Penmarc'h (main road: D785). While approaching, look for Plomeur city. (Not PloEmeur ! This is 150 km away ! ).<br />At Plomeur center, follow roadsigns to La Torche point (or ask anyone, everybody knows where it is !). Once you get on the parking lot (a bar and a breton restaurant -called "crêperie"; where you eat local pancakes- on your left), walk on the right (North) side of the point : here it is.<br />On the left (South) side of the point, another spot, called Pors Carn.<br />Get there when it's (rarely) too big at La Torche, or big + too crowded. English (Translate this text in English): From the main city of Quimper (50 kilometers), follow the roadsigns to Pont l'abbé; Saint Guénolé and Penmarc'h (main road: D785). While approaching, look for Plomeur city. (Not PloEmeur ! This is 150 km away ! ).&lt;br &#47;&gt;At Plomeur center, follow roadsigns to La Torche point (or ask anyone, everybody knows where it is !). Once you get on the parking lot (a bar and a breton restaurant -called &quot;crêperie&quot;; where you eat local pancakes- on your left), walk on the right (North) side of the point : here it is.&lt;br &#47;&gt;On the left (South) side of the point, another spot, called Pors Carn.&lt;br &#47;&gt;Get there when it's (rarely) too big at La Torche, or big + too crowded. English (Translate this text in English): From the main city of Quimper (50 kilometers), follow the roadsigns to Pont l'abbé; Saint Guénolé and Penmarc'h (main road: D785). While approaching, look for Plomeur city. (Not PloEmeur ! This is 150 km away ! ).&amp;lt;br &amp;#47;&amp;gt;At Plomeur center, follow roadsigns to La Torche point (or ask anyone, everybody knows where it is !). Once you get on the parking lot (a bar and a breton restaurant -called &amp;quot;crêperie&amp;quot;; where you eat local pancakes- on your left), walk on the right (North) side of the point : here it is.&amp;lt;br &amp;#47;&amp;gt;On the left (South) side of the point, another spot, called Pors Carn.&amp;lt;br &amp;#47;&amp;gt;Get there when it's (rarely) too big at La Torche, or big + too crowded. Take time to LOOK AT THE SURF ZONE. Along the rocky point, from the beach to high sea, a STRONG CURRENT will bring you (and anything else floating) to the peak. All you have to do is float on your board and wait for the lift...this is why locals call this current "L'ascenceur" (the Lift). When you want to get back to the beach, DO NOT paddle against this current : no matter how good you swim, it is stronger than you. Instead, go away from the point and let the waves push you ashore. (This is also what to do with a drifting and saltwater-swallowing swimmer, which happens all the time). Waves break right and left, with shorter rights that end up in the current. On a good day, you can take off, surf a nice right, push yourself to reach the backwash and take a "second" wave with a little tube on the last section. GREAT ! Then, all you have to do is paddle 3 strokes into the Lift and do it all again. If you choose to go on a left, it could be a 300 yards ride to the beach. Then, you can avoid the long, very long paddle/duck dive/paddle toward the peak : just walk back to the point and let the Lift push you in the peak zone. Summertime : do not surf between the two blue flags, this is the swimmers-only zone; and anywhere you go in summer remember : 2 blue flags mean NO surf. English (Translate this text in English): Take time to LOOK AT THE SURF ZONE. Along the rocky point, from the beach to high sea, a STRONG CURRENT will bring you (and anything else floating) to the peak. All you have to do is float on your board and wait for the lift...this is why locals call this current "L'ascenceur" (the Lift).<br />When you want to get back to the beach, DO NOT paddle against this current : no matter how good you swim, it is stronger than you. Instead, go away from the point and let the waves push you ashore. (This is also what to do with a drifting and saltwater-swallowing swimmer, which happens all the time).<br />Waves break right and left, with shorter rights that end up in the current. On a good day, you can take off, surf a nice right, push yourself to reach the backwash and take a "second" wave with a little tube on the last section. GREAT ! Then, all you have to do is paddle 3 strokes into the Lift and do it all again. If you choose to go on a left, it could be a 300 yards ride to the beach. Then, you can avoid the long, very long paddle/duck dive/paddle toward the peak : just walk back to the point and let the Lift push you in the peak zone. Summertime : do not surf between the two blue flags, this is the swimmers-only zone; and anywhere you go in summer remember : 2 blue flags mean NO surf.<br />Thanks for the lifeguards. English (Translate this text in English): Take time to LOOK AT THE SURF ZONE. Along the rocky point, from the beach to high sea, a STRONG CURRENT will bring you (and anything else floating) to the peak. All you have to do is float on your board and wait for the lift...this is why locals call this current &quot;L'ascenceur&quot; (the Lift).&lt;br &#47;&gt;When you want to get back to the beach, DO NOT paddle against this current : no matter how good you swim, it is stronger than you. Instead, go away from the point and let the waves push you ashore. (This is also what to do with a drifting and saltwater-swallowing swimmer, which happens all the time).&lt;br &#47;&gt;Waves break right and left, with shorter rights that end up in the current. On a good day, you can take off, surf a nice right, push yourself to reach the backwash and take a &quot;second&quot; wave with a little tube on the last section. GREAT ! Then, all you have to do is paddle 3 strokes into the Lift and do it all again. If you choose to go on a left, it could be a 300 yards ride to the beach. Then, you can avoid the long, very long paddle&#47;duck dive&#47;paddle toward the peak : just walk back to the point and let the Lift push you in the peak zone. Summertime : do not surf between the two blue flags, this is the swimmers-only zone; and anywhere you go in summer remember : 2 blue flags mean NO surf.&lt;br &#47;&gt;Thanks for the lifeguards. English (Translate this text in English): Take time to LOOK AT THE SURF ZONE. Along the rocky point, from the beach to high sea, a STRONG CURRENT will bring you (and anything else floating) to the peak. All you have to do is float on your board and wait for the lift...this is why locals call this current &amp;quot;L'ascenceur&amp;quot; (the Lift).&amp;lt;br &amp;#47;&amp;gt;When you want to get back to the beach, DO NOT paddle against this current : no matter how good you swim, it is stronger than you. Instead, go away from the point and let the waves push you ashore. (This is also what to do with a drifting and saltwater-swallowing swimmer, which happens all the time).&amp;lt;br &amp;#47;&amp;gt;Waves break right and left, with shorter rights that end up in the current. On a good day, you can take off, surf a nice right, push yourself to reach the backwash and take a &amp;quot;second&amp;quot; wave with a little tube on the last section. GREAT ! Then, all you have to do is paddle 3 strokes into the Lift and do it all again. If you choose to go on a left, it could be a 300 yards ride to the beach. Then, you can avoid the long, very long paddle&amp;#47;duck dive&amp;#47;paddle toward the peak : just walk back to the point and let the Lift push you in the peak zone. Summertime : do not surf between the two blue flags, this is the swimmers-only zone; and anywhere you go in summer remember : 2 blue flags mean NO surf.&amp;lt;br &amp;#47;&amp;gt;Thanks for the lifeguards. This spot is a real regional classic...and local officials use it to attract sport-oriented tourists. Publicly known, the spot is CROWDED ! On sunny weekends or summers, you'll easily count 100 to 200 surfers, wave-skiers, body boarders, drifting swimmers and, now, "fly surfers".It is too much, of course for a 20 to 50 yards peak zone...All you have to do is to come OFF (french) HOLIDAYS and ON WEEKDAYS. Though, it never gets really agressive and, thanks to the locals, this is a miracle. If you cannot come off holidays, watch and go for dawn high tides (5 or 6 A.M.). For a decent night life, take the first road on the right when leaving La Torche, at a night club called "A l'ouest". If you don't drink and drive, ask for a night club called "Le Kalao", near Quimper city. English (Translate this text in English): This spot is a real regional classic...and local officials use it to attract sport-oriented tourists. Publicly known, the spot is CROWDED ! On sunny weekends or summers, you'll easily count 100 to 200 surfers, wave-skiers, body boarders, drifting swimmers and, now, "fly surfers".It is too much, of course for a 20 to 50 yards peak zone...All you have to do is to come OFF (french) HOLIDAYS and ON WEEKDAYS.<br />Though, it never gets really agressive and, thanks to the locals, this is a miracle. If you cannot come off holidays, watch and go for dawn high tides (5 or 6 A.M.). For a decent night life, take the first road on the right when leaving La Torche, at a night club called "A l'ouest". If you don't drink and drive, ask for a night club called "Le Kalao", near Quimper city. English (Translate this text in English): This spot is a real regional classic...and local officials use it to attract sport-oriented tourists. Publicly known, the spot is CROWDED ! On sunny weekends or summers, you'll easily count 100 to 200 surfers, wave-skiers, body boarders, drifting swimmers and, now, &quot;fly surfers&quot;.It is too much, of course for a 20 to 50 yards peak zone...All you have to do is to come OFF (french) HOLIDAYS and ON WEEKDAYS.&lt;br &#47;&gt;Though, it never gets really agressive and, thanks to the locals, this is a miracle. If you cannot come off holidays, watch and go for dawn high tides (5 or 6 A.M.). For a decent night life, take the first road on the right when leaving La Torche, at a night club called &quot;A l'ouest&quot;. If you don't drink and drive, ask for a night club called &quot;Le Kalao&quot;, near Quimper city. English (Translate this text in English): This spot is a real regional classic...and local officials use it to attract sport-oriented tourists. Publicly known, the spot is CROWDED ! On sunny weekends or summers, you'll easily count 100 to 200 surfers, wave-skiers, body boarders, drifting swimmers and, now, &amp;quot;fly surfers&amp;quot;.It is too much, of course for a 20 to 50 yards peak zone...All you have to do is to come OFF (french) HOLIDAYS and ON WEEKDAYS.&amp;lt;br &amp;#47;&amp;gt;Though, it never gets really agressive and, thanks to the locals, this is a miracle. If you cannot come off holidays, watch and go for dawn high tides (5 or 6 A.M.). For a decent night life, take the first road on the right when leaving La Torche, at a night club called &amp;quot;A l'ouest&amp;quot;. If you don't drink and drive, ask for a night club called &amp;quot;Le Kalao&amp;quot;, near Quimper city. English (Translate this text in English): The wave in itself is good and fun to surf, sometimes big and challenging. O.K.The problem as i said, is the CURRENT. Know how to use it before you go. Know that on most winter gales, it gets 8 knots of speed. (Yes : 8 knots !). I worked twice there as a lifeguard and, definitely, this is NOT A FAMILY-BEACH. Get there to surf, then go to Pors Carn (southward, at the other side of the point) to swim with family and friends. The safest place at Pors Carn is at the other side of the cove. (1 meter waves with 4 meters swell)<br />BONUS : La Torche point is the end of Audierne bay, the longest beach in Finistère... walk or take the car northward and turn left each time there is an access to shore : you will then discover that La Torche is not (thanks God!) the only spot around; and that the Landes do not have the only best beach breaks in France...<br />(Then, as in any beach break, watch for the local danger : the "baïnes") Nearly uncrowded, hard-to-paddle enough to keep beginners on shore...<br />See you there. English (Translate this text in English): The wave in itself is good and fun to surf, sometimes big and challenging. O.K.The problem as i said, is the CURRENT. Know how to use it before you go. Know that on most winter gales, it gets 8 knots of speed. (Yes : 8 knots !). I worked twice there as a lifeguard and, definitely, this is NOT A FAMILY-BEACH. Get there to surf, then go to Pors Carn (southward, at the other side of the point) to swim with family and friends. The safest place at Pors Carn is at the other side of the cove. (1 meter waves with 4 meters swell)&lt;br &#47;&gt;BONUS : La Torche point is the end of Audierne bay, the longest beach in Finistère... walk or take the car northward and turn left each time there is an access to shore : you will then discover that La Torche is not (thanks God!) the only spot around; and that the Landes do not have the only best beach breaks in France...&lt;br &#47;&gt;(Then, as in any beach break, watch for the local danger : the &quot;baïnes&quot;) Nearly uncrowded, hard-to-paddle enough to keep beginners on shore...&lt;br &#47;&gt;See you there. English (Translate this text in English): The wave in itself is good and fun to surf, sometimes big and challenging. O.K.The problem as i said, is the CURRENT. Know how to use it before you go. Know that on most winter gales, it gets 8 knots of speed. (Yes : 8 knots !). I worked twice there as a lifeguard and, definitely, this is NOT A FAMILY-BEACH. Get there to surf, then go to Pors Carn (southward, at the other side of the point) to swim with family and friends. The safest place at Pors Carn is at the other side of the cove. (1 meter waves with 4 meters swell)&amp;lt;br &amp;#47;&amp;gt;BONUS : La Torche point is the end of Audierne bay, the longest beach in Finistère... walk or take the car northward and turn left each time there is an access to shore : you will then discover that La Torche is not (thanks God!) the only spot around; and that the Landes do not have the only best beach breaks in France...&amp;lt;br &amp;#47;&amp;gt;(Then, as in any beach break, watch for the local danger : the &amp;quot;baïnes&amp;quot;) Nearly uncrowded, hard-to-paddle enough to keep beginners on shore...&amp;lt;br &amp;#47;&amp;gt;See you there. Big - I try my Chevallier for the first time and it was a good board. I took the biggest waves between the longboards. I manage to surf through the crowd. + points : long surfed walls, engagement - points : maybe my gun is a little to heavy. 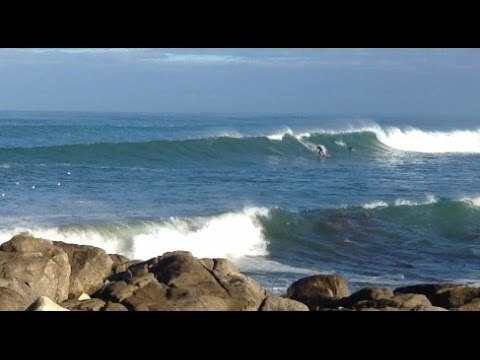 - I have been to this spot a few times and its probably one of the most consistant waves around. Well worth a visit but it can get crowded so try to do a few 'earlys' and you will miss the wind as well.